The only sides of the dice with spots are six, six, six. 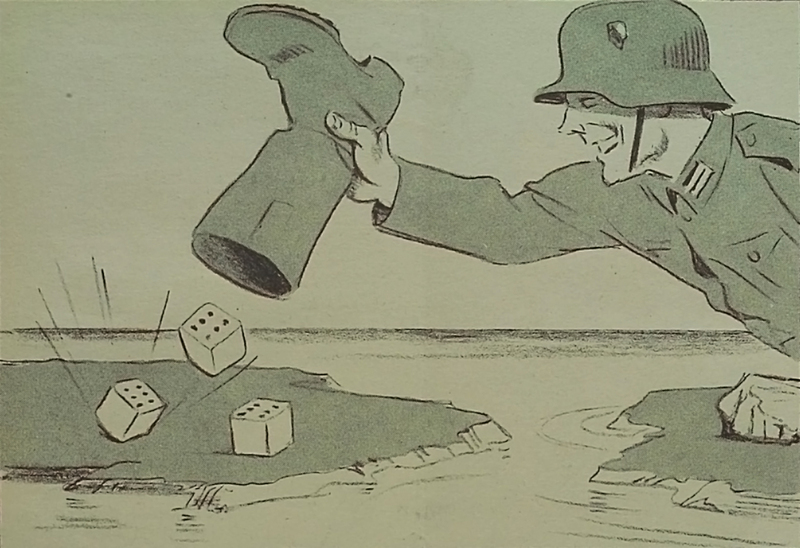 From Kladderadatsch, 1940. Rock beats scissors. 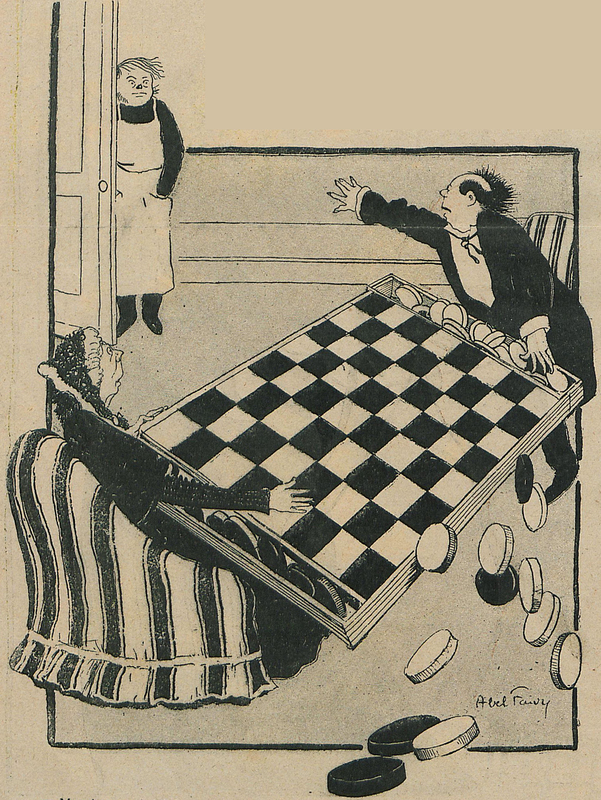 From Kladderadatsch, 1923. See the Zen version of Rock-Paper-Scissors: Moon-Fish-Ocean. 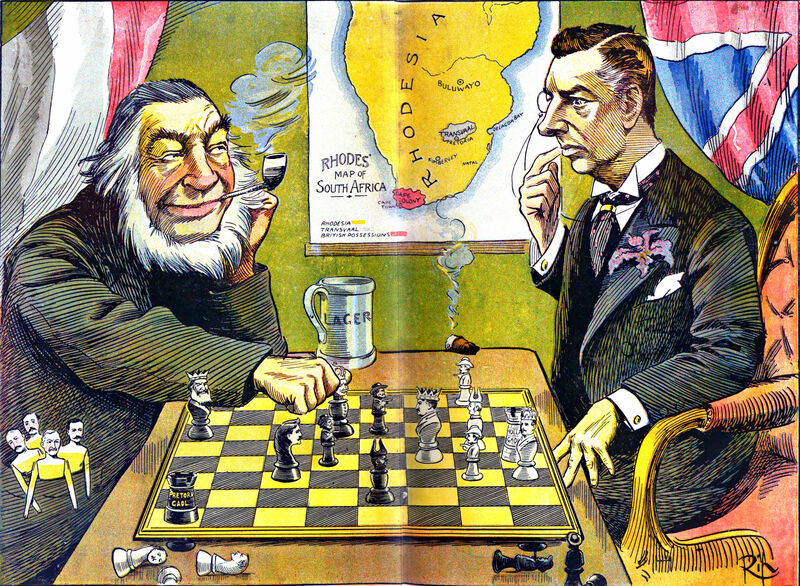 Which is better: a good book or a game of chess? 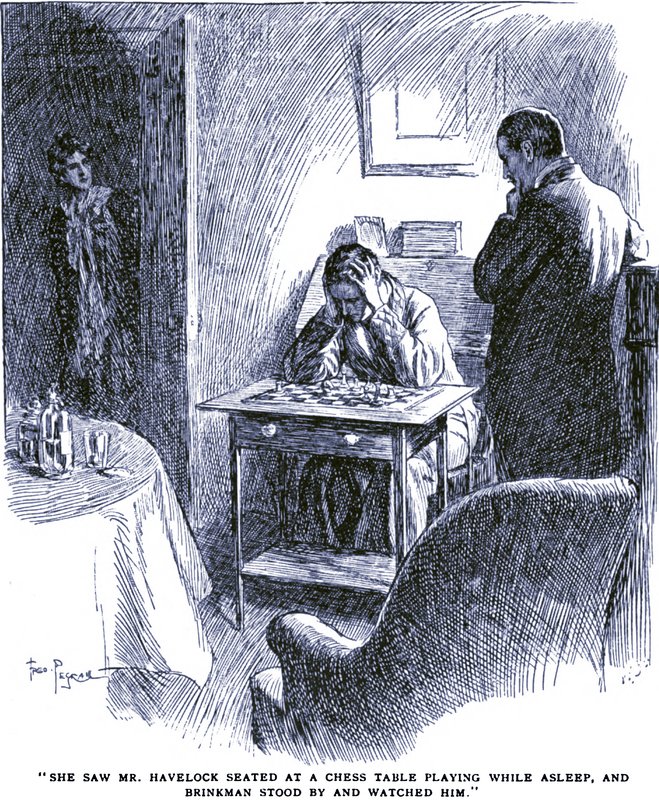 The answer is from The Idler, 1894. The game of chess and a good book are combined here: If a Chessman Were a Word: A Chess-Calvino Dictionary. 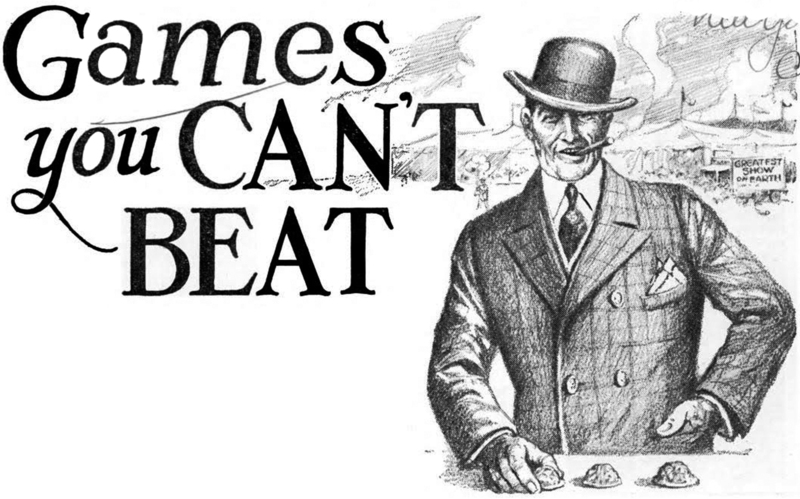 "Games you can't beat." 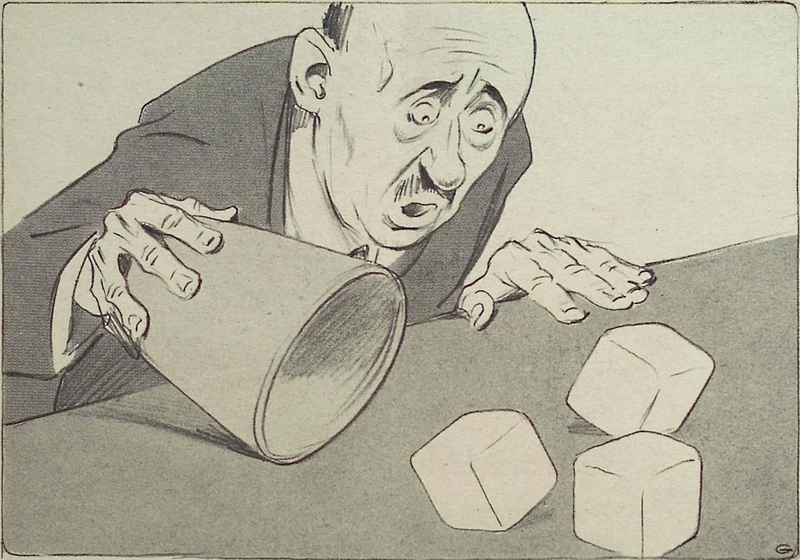 From Popular Mechanics, 1927. 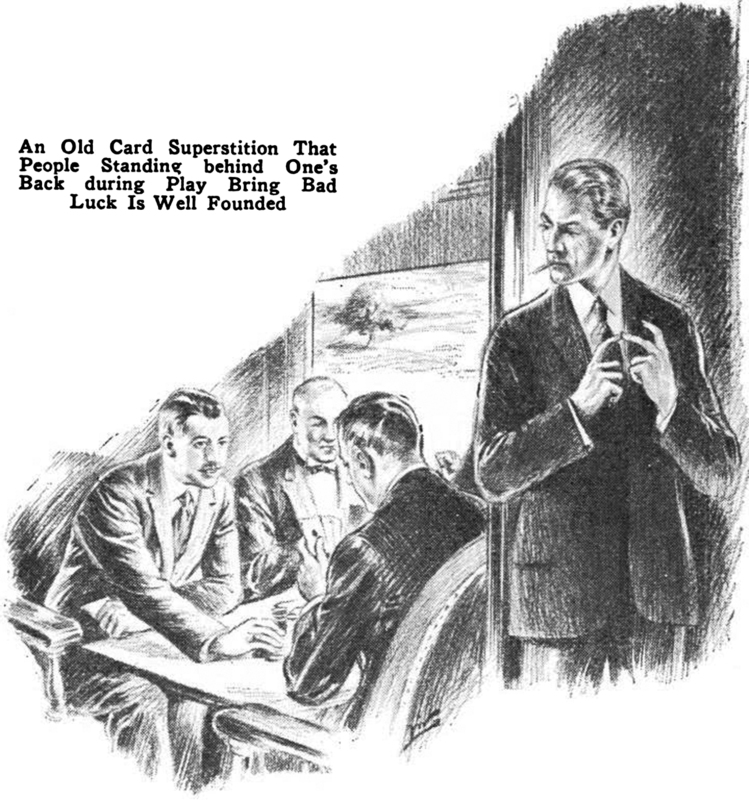 The 8 of Diamonds: "Night is Might." 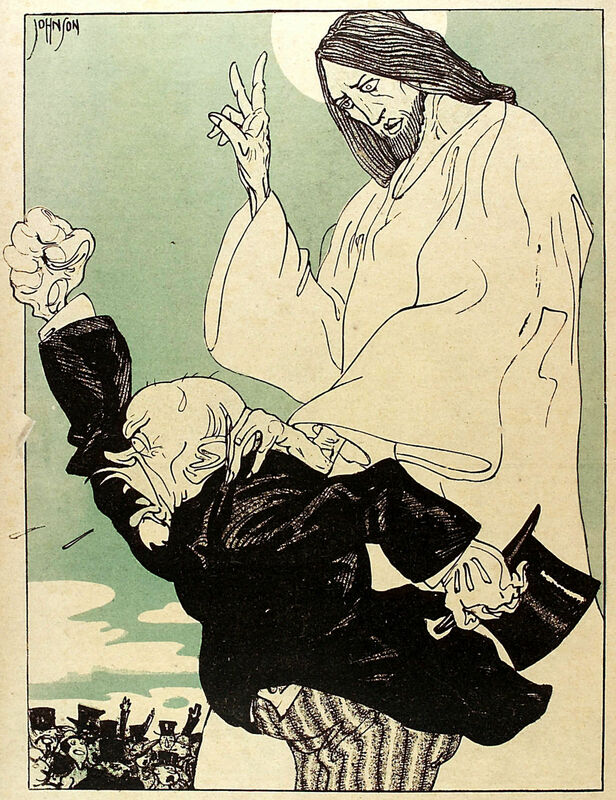 From Jugend, 1902. 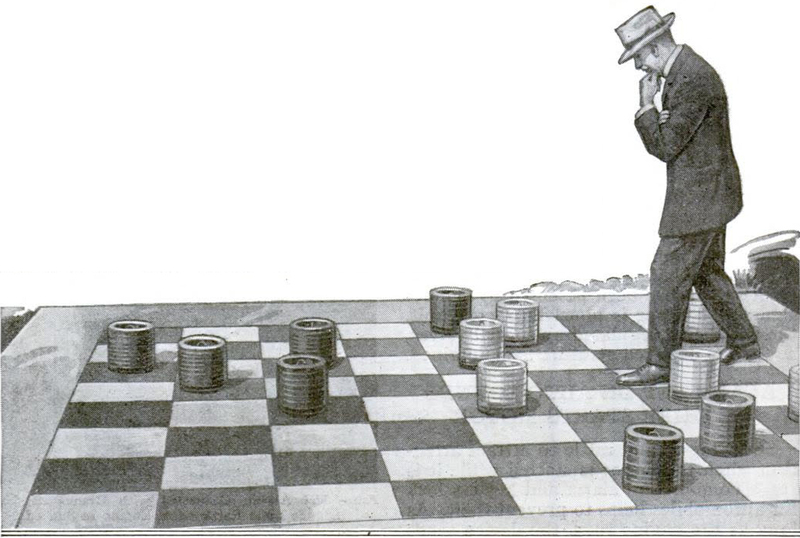 Checkers isn't as big a game as it used to be. 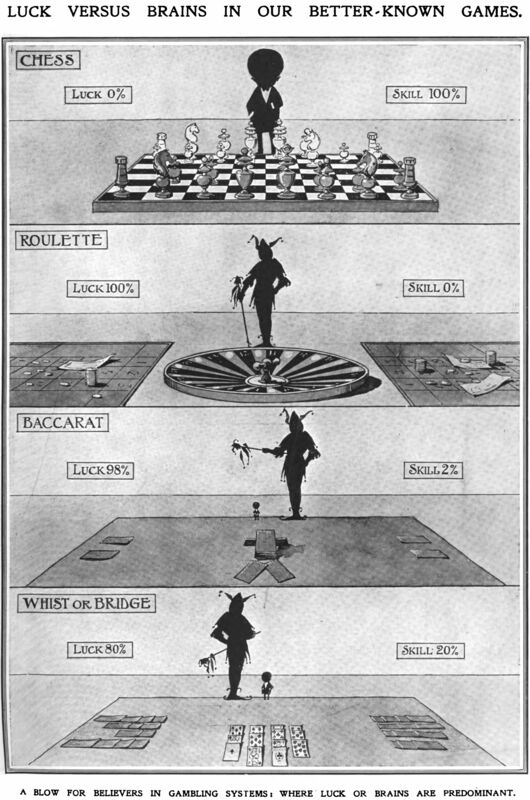 From Le Rire, 1899. 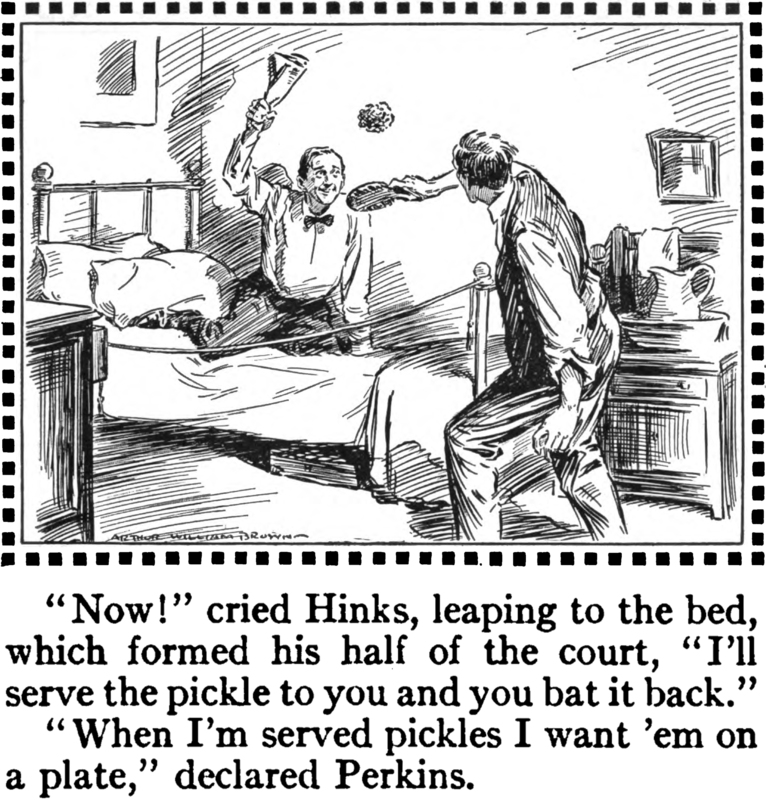 Here's a game played with a hair brush, a folded newspaper bat, a bath robe waist cord for a net, and a plaster-of-Paris advertising pickle as a ball, from "A Better Game" by Robert Carlton Brown and illustrated by Arthur William Brown, in Pearson's, 1910. "When I'm served pickles I want 'em on a plate." 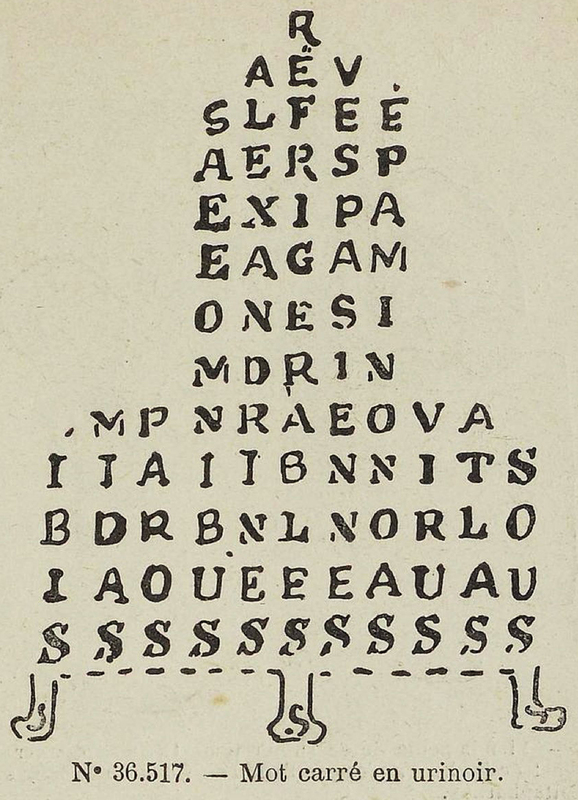 Here's a "word in a urinal" puzzle from Le Rire, 1903. 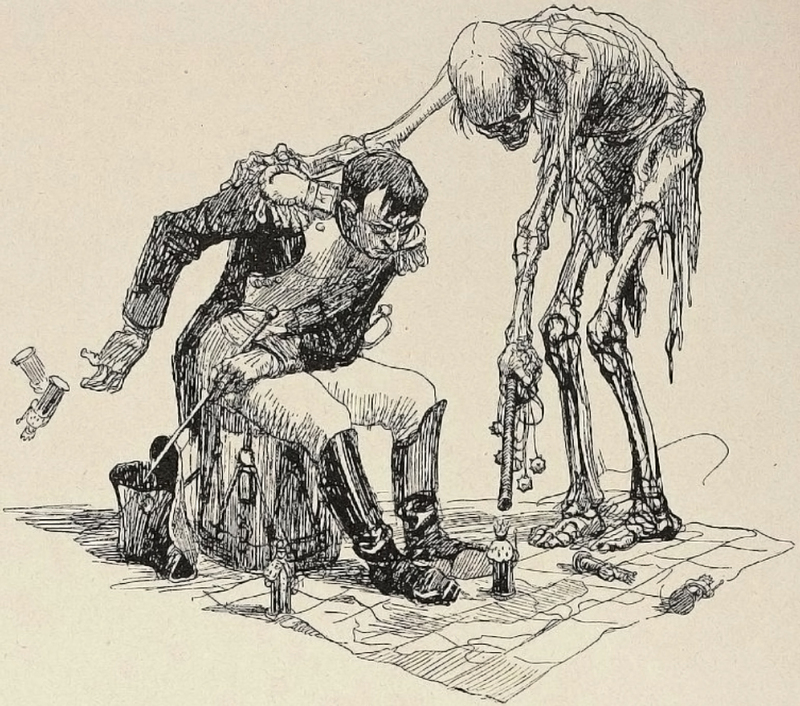 Playing chess while asleep, from Harmsworth Magazine, 1899. See If a Chessman Were a Word: A Chess-Calvino Dictionary. 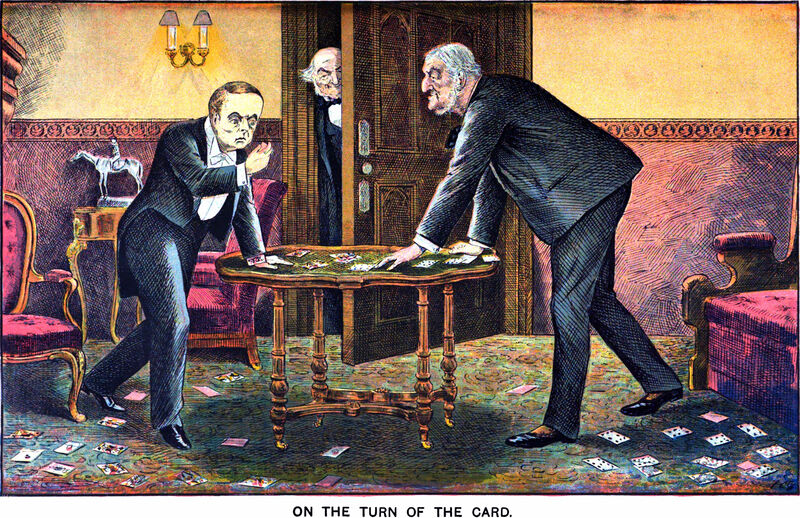 "On the turn of the card," from Truth Christmas Number, 1894. 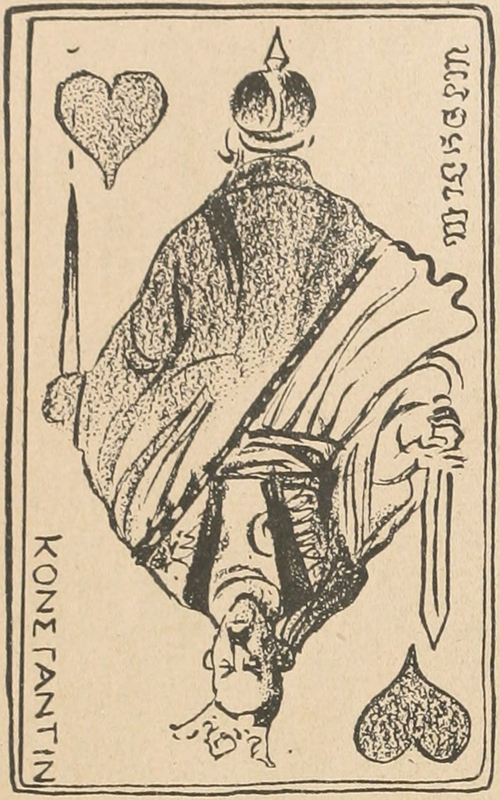 From Truth Christmas Number, 1894. 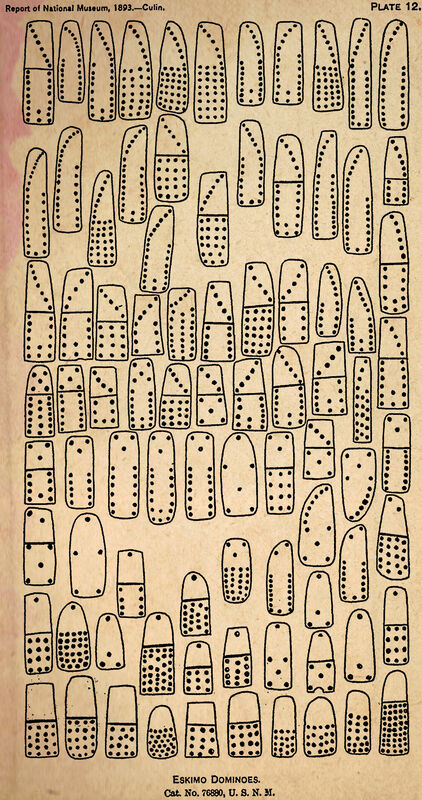 See If a Chessman Were a Word: A Chess-Calvino Dictionary.